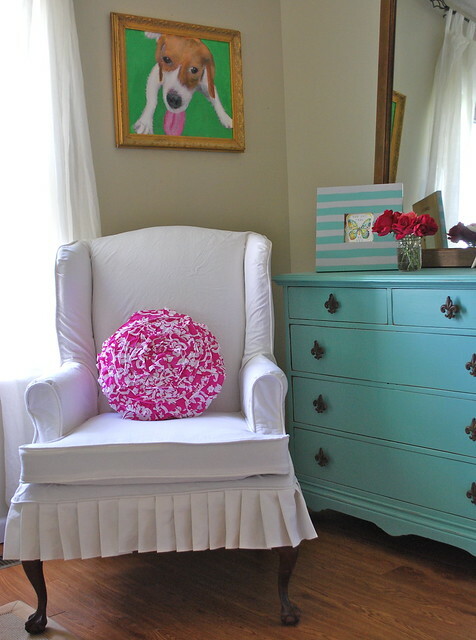 I just finished this wing chair with…yet another white slipcover. You know I have an absolute love and adoration for all things white…especially for white slipcovers! I am convinced they are the best decor for any home and survive kids, dogs, chocolate smears and whatever else you want to test them with! This chair, unfortunately, is not mine. I must deliver her to her rightful owner. Oh My, how I love a knife pleated skirt that shows some leg! So sassy! 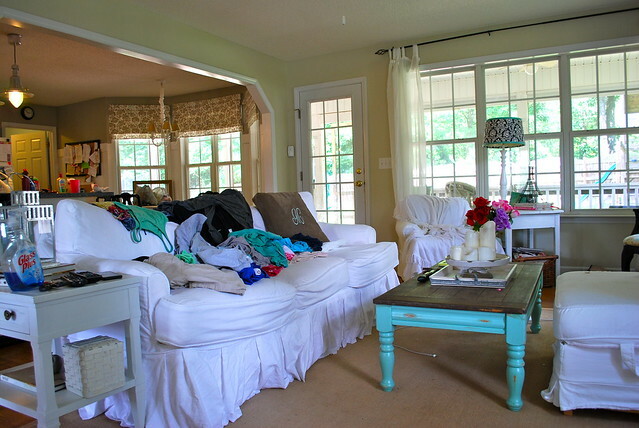 And lest you think the rest of my house looks as clean as the photos above…let me introduce you to the Fo Real Deal called the never-ending pile of laundry. Love the pleated skirt ! I love my new “old” chair!!! 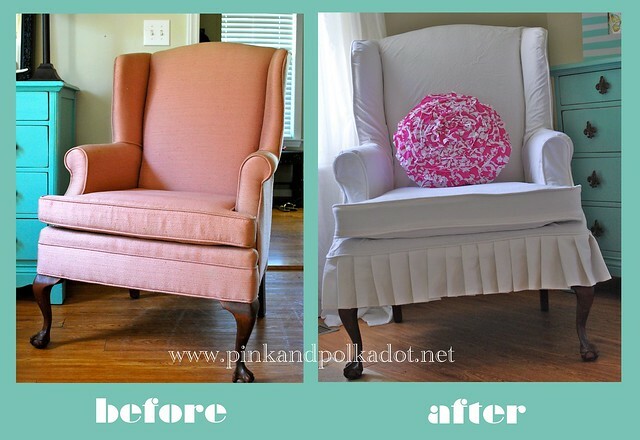 Wow what a difference that slipcover made!! Hi, did you make this slipcover? Do you sell them? I am trying to find something like this to cover my husband's leather wing chair.